Agriculture is an industry subject to a great deal of chance – the vagaries of climate and disease can greatly affect crop yield and quality. In order to ensure the best possible production, growers are increasingly turning to seed coating. Seed coating is used to improve flowability and handling of seeds, germination and seedling emergence, and protection from plant pathogens and insects. The global seed coating market is worth billions of rupees, and looks like it will continue to grow for the foreseeable future due to the demand for high-yielding and healthy seeds. The term “seed coatings” covers a number of processes and products which are used to alter seeds and ensure a uniform, healthy harvest. These seed treatment processes include pelleting, encrusting, and film coating. In this article we take a look at seed coating and how it improves the effectiveness and efficiency of modern farming practices. We also look at the top seed coating companies in India and the products they products. 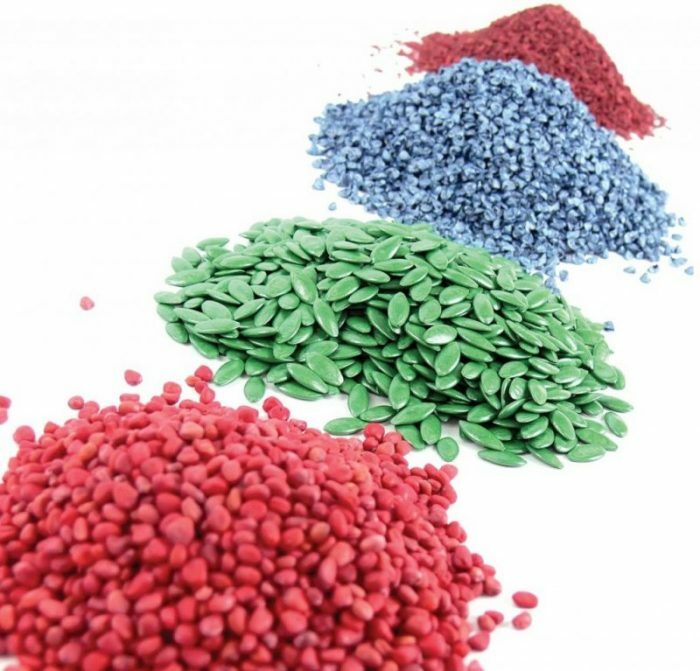 The intended outcome of the coating – flowability, insecticide, or uniformity, for example – determines the type of seed coating required. Seed coating is applied in three different techniques: pelleting, encrusting, and film coating. Seed coating process; applying film coating on seeds. Film coating: Film coating is used as a fixative for antifungal or insecticide products, as well as the biostimulants and active ingredients. It does not change the shape of the seed, but is used to reduce dust (particularly where pest protection products are concerned) and to differentiate seeds through the application of vibrant colours. Encrusting: Encrusted seed is coated with a lighter covering than pelleting, intended to smooth out and homogenise the seed surfaces in order to make it easier for handling. Pelleting: This is the seed coating process which increases the weight, size, and shape of a seed to create uniformity, smoothness, and accuracy in the planting process. The seed is made practically spherical, allowing efficient use of automatic planting devices and the application of protection additives. Crops are prey to diseases and insect pests in all life stages, from seeds to seedlings and plants. Soil-borne fungal diseases and organisms can cause rotting and blights, fungi-based diseases cause kernels to be replaced by fungal spores, and of course insects eat away at young plants. Seed coatings combat these dangers through two methods: systemic and non-systemic protection. Systemic protection is soluble in water and is absorbed by the plant, becoming part of its tissues. These coatings release their active ingredient into the soil soon after planting, protecting the seed and then being taken up by the seedling. Non-systemic protection (also ‘contact’ protection) works to protect young seedlings from soil-borne and fungicidal diseases by providing a protective field around the seed and soil which will destroy those targeted fungi with which it comes into contact. Both these systems can be targeted to very specific pests, meaning fewer chemicals in the ground, plants, and environment than would the case with a broadcast, sprayed, or in soil treatment. There are many handling issues associated with seeds which impair a grower’s ability to get the best yield possible. Seed coatings improve handling in several ways. Firstly, seed coating allows seed varieties to be differentiated by vibrant colour, as well as marking which seeds are treated and which are not. By reducing dust from the seeds, coating also improves the flowability of seeds through planting equipment and their machine handling in large quantities. Improved flowability means that the seeds flow easily and accurately through planters. It allows high precision planting and accurate drops, maintaining uniform plant spacing without skips or double seeds – making every seed count. 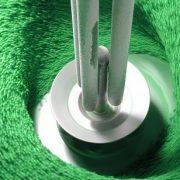 Coatings can be tailored to provide the right dimensions and density for the end-user’s specific needs. The coatings also increase the weight of seeds, leading to improved accuracy with fly-over seed cropping through reduced wind-drift. Consistency and accuracy lead to improved crop quality. Treating seeds to create greater uniformity allows fewer variables to affect their development. Improved handling and regular size, shape, and weight means greater accuracy in planting, giving the seeds the best possible conditions for germination. The insecticides and fungicides protect the crops from damage and deterioration due to root rot, blight, disease, and biting and sucking insects, maximising the crop potential. As well as protective chemicals, coatings can bind seed treatments such as growth stimulants to seeds. By feeding these additives through germination, the survival rate for seedlings is increased and yields are optimised. In addition to the greater accuracy in planting and pest protection, this all leads to improved yields. In crops with a high correlation of seed rate to yield, the accuracy provided by improving the flowability of seeds sees an associated rise in production. The Indian seed coatings industry is represented by major international and local players such as Incotec, Littles Oriental Balm and Pharmaceuticals Ltd, Centor India, Mahendra Overseas, Sampatti Industries and others. With the importance of protecting and increasing the potential of our food sources it is no surprise that there are a large number of international and home-grown companies filling that need. It is possible to send us an enquiry by mail via our contact form with all the exact needs for the seed coating.